According to a newly-approved patent application published by the US Patents and Trademark Office, Microsoft has been planning and designing its own fitness smartwatch since 2012, when the patent was filed. Various rumours last year claim that the company was developing a smartwatch and the device is in the hands of Microsoft’s Surface team as it will run a version of Windows 8. But this patent shows off what the company had in mind for the small wearable device, giving us a more visual image along with more details regarding what the device can do. The fitness focused smartwatch is said to host an optical light sensor which measures the wearer’s biometrics such as heart rates by making contact with the user’s skin. Other sensors for movement and GPS unit with internal compass for tracking the wearer’s position are also included in the device. 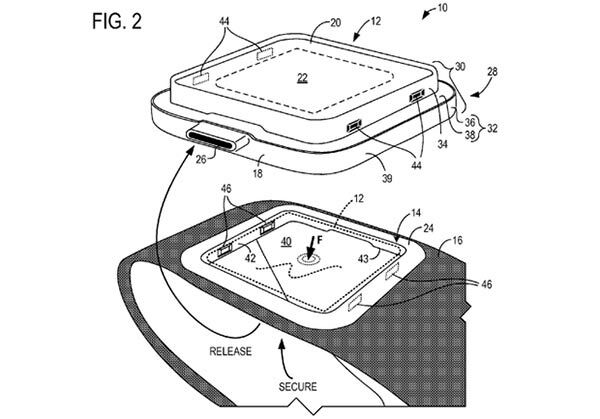 If we take a look at the photos, it shows that the watch face can be removed from the straps and mounted to a charging dock, where the device was described as a standalone “portable information system”. This will allow the strap to be cleaned after exercise and the detached watch face can also be inserted into different fitness equipments as a personal fitness recorder. The device is also said to feature a music player, alarm clock, messaging and phone call apps whilst other more recently developed application such as Skype and voice assistant is also likely to be included. 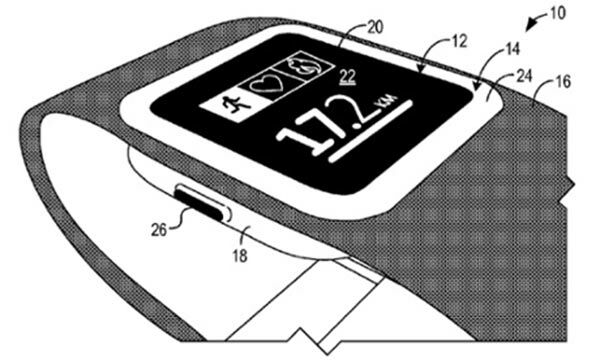 Although we have the patent to hand, whether Microsoft will actually end up making the smartwatch is still unclear. With the wearables market about to be booming with devices such as Samsung’s Galaxy Gear range, the Pebble smartwatch, Apple’s rumoured iWatch and Google’s upcoming Android Wear OS devices like the Moto 360 and LG’s G Watch, Microsoft will sure have to produce something spectacular in order to battle with these rivals. “Microsoft has three options here. It could create something completely standalone, something that could work cross-platform with Android but optimised for Windows Phone, or something just for Windows Phone, but that would require something so disruptive it would entice users to switch platforms for the smartwatch which is a very, very tall order,” Wood added. We are very excited to see more and more innovative products emerging as the wearables market becoming the next battleground for tech companies.